I loved Georgia Beers last book. Loved it! This one I was a little more skeptical of. Infidelity is a super duper hard subject for a romance novel. You know going into this book that one of our leading ladies is in a fitness class to prep for her walk down the aisle. Red flag, dangerous waters ahead! Ruh-Roh! Spencer Thompson is just going through the motions of life. She is unhappy but unmotivated to do anything about it. Not endearing qualities, I must say. When her fiancée tells her she enrolled her in a 12 week, three times a week, bridal boot camp, Spencer is pissed, hurt and annoyed. She internalizes all of her emotion, buys a pair of sneakers and goes to class. Come on Spence, yell a little. Rebecca McCall is the personal trainer who gets handed the 12-week bridal class after another trainer falls ill with mono. She loathes the creator of this program and is not a huge fan of the concept of the program. No matter what she is stuck with it and it’s five brides-to-be. 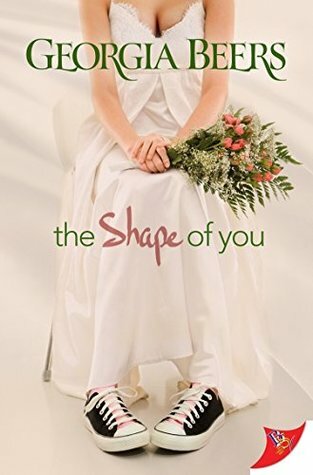 Rebecca is headstrong, confident and it totally throws her for a loop when she finds out one of the brides, Spencer, was told to take the class by her future wife. Throws her for a loop so much, she asks like a jerk for a third of the book. Needless to say, Spencer and Rebecca totally get off on the wrong foot. They both think the other is smoking hot but Rebecca cannot get past Spencer being a doormat on taking this class. Therefore, Rebecca is overtly hostile to Spencer and everyone notices. Another endearing quality by a leading lady, yeah not so much. While the book is good and it holds your attention, there is a spark missing. At times you feel like you’re in Groundhog Day because the majority of the time the two leads interact in a fitness class. Lots of gym talk, lots of she’s off-limits, plank here, a plank there and off to do it again. Plus Spencer is engaged and she is too lethargic and apathetic to stop the train wreck of a marriage. I like Spencer but at times you as the reader wanted her to wake up. I needed more passion, more heat and more qualities to endear the two characters to my heart. It just wasn’t there this time. A good book, I enjoyed it, I am glad I read it, but it is not one I will come back to. I just finished this book, and I have to agree with your review. I love Georgia Beers and I tend to buy her books as soon as they come out. She’s on that list of writers for me that’s always a ‘must-buy.’ Something was definitely missing from this one. I think part of of it was I just didn’t like Spencer all that much. She had moments where she would grow on me, but the wishy-washiness was a little aggravating. I think another thing was I just didn’t have the two leads interacting as much as I would have liked. Like you said, most of their time together was spent at the gym, or talking about the gym. I needed them to have more conversations together with just the two of them, talking about actual things.